Forget the Harley or the Honda Africa Twin. Real adventure travel meets elegance when you figure out how to cram your whole family and a boat and a weekend’s worth of camping gear onto a scooter. 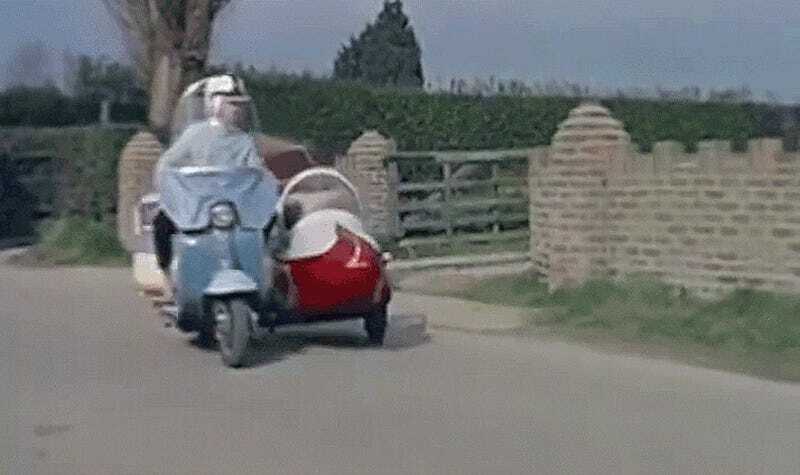 I do believe the bike in both these adorable clips is a Lambretta, though I hope those of you with deeper knowledge of 1960something step-throughs will be able to specify exactly what we’re looking at. Regardless, British Pathé proves once again to be an excellent diversion into the past. Something about the old timey English narration makes these clips tremendously endearing even if they’re also casually sexist. It was a different, very strange and occasionally disturbing time, there’s no doubt about that.